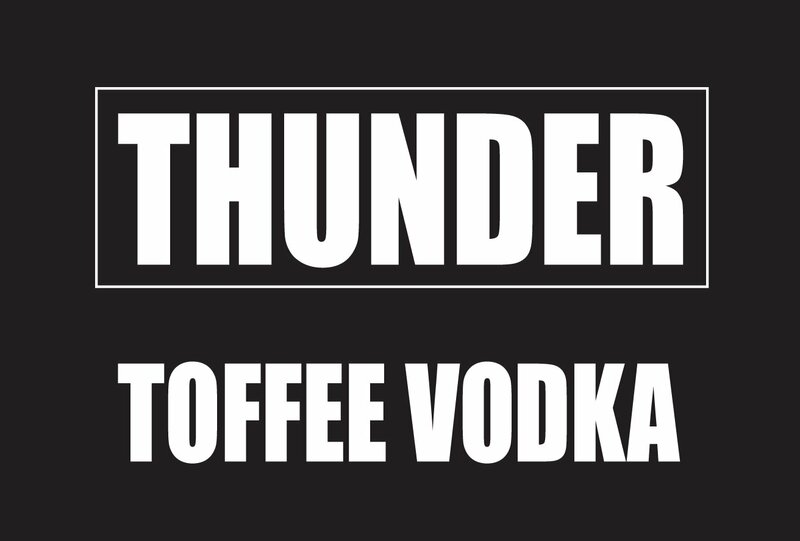 Thunder Toffee Vodka is made with triple distilled grain Vodka and a completely natural toffee syrup of pure cane sugar. 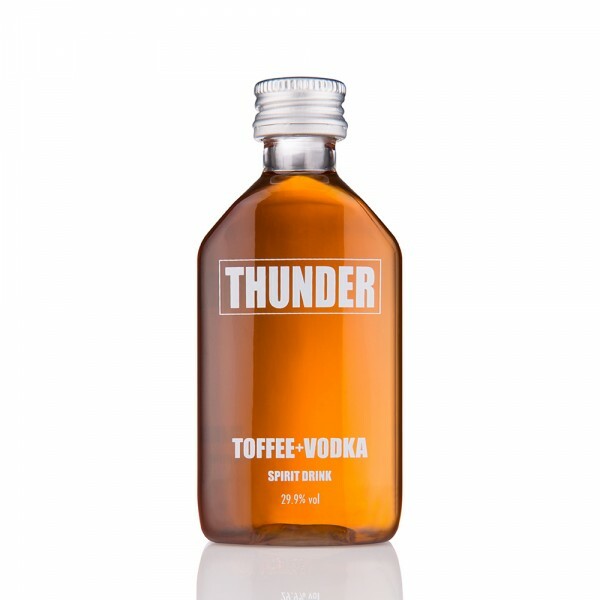 The simplicity of the ingredients makes for a beautiful blend; with a creamy toffee flavour and clean, crisp Vodka - it's an award-winning flavoured Vodka more than worthy of the accolades. Add the Thunder, lemon juice, syrup, mango and coriander (reserve one leaf for garnish) to a tall glass and muddle them together. Add a handful of ice, top up with club soda, stir and serve. Shake all of the ingredients hard for 20 seconds, strain into a cocktail glass full of crushed ice, garnish with a sprig of mint and serve.